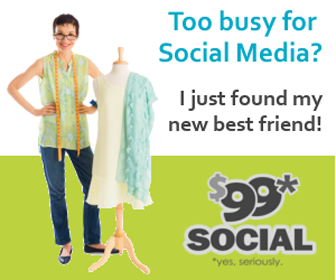 Save time to search influencers’ information easily. Drag and drop interface to create new templates. It has the option of Auto fill contact forms. In prospecting section not all filters are working properly. 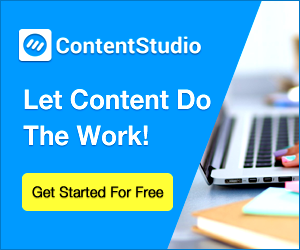 There are no such pre-defined templates to use instantly. 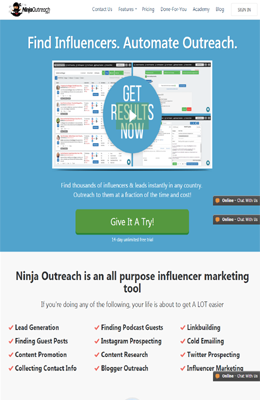 If you are one of those busy entrepreneur who is looking for some efficient and rapid way to reach out and connect with the industry influencers such as other bloggers, small businesses, freelancers, agency’s etc then for you I would like to suggest you about using the most efficient tool that is ‘NinjaOutreach’.. 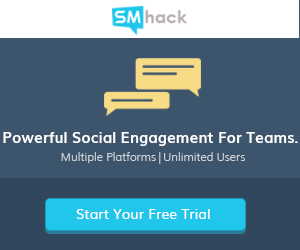 Yes definitely, the biggest popularity of this tool for me is how much time you are going to save using it to do blogger outreach. 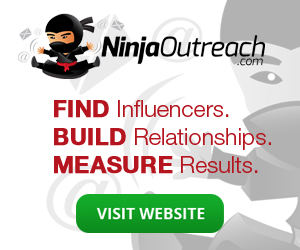 So, if you want to save your precious time from being wasted on researching influencers, getting access to important metrics, connecting with likeminded bloggers, freelancers and agencies in your niche, and if you want to do all such things under one roof then NinjaOutreach is absolutely the best recommended one. . 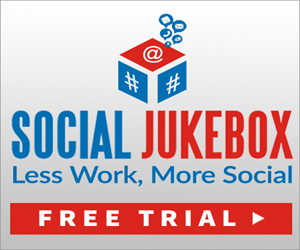 This is all-in-one online outreach tool which offers its users with such enhancing feature like; Search for prospects and influencers, build contacts/prospects lists, create and manage email outreach templates. 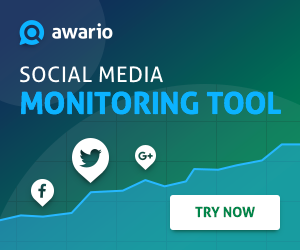 Besides this the tool has such filters that have over 25 metrics including location, SEO, Social, Special Posts and even contact information availability..
Not all filters are working properly. Fewer features compared to the desktop version.